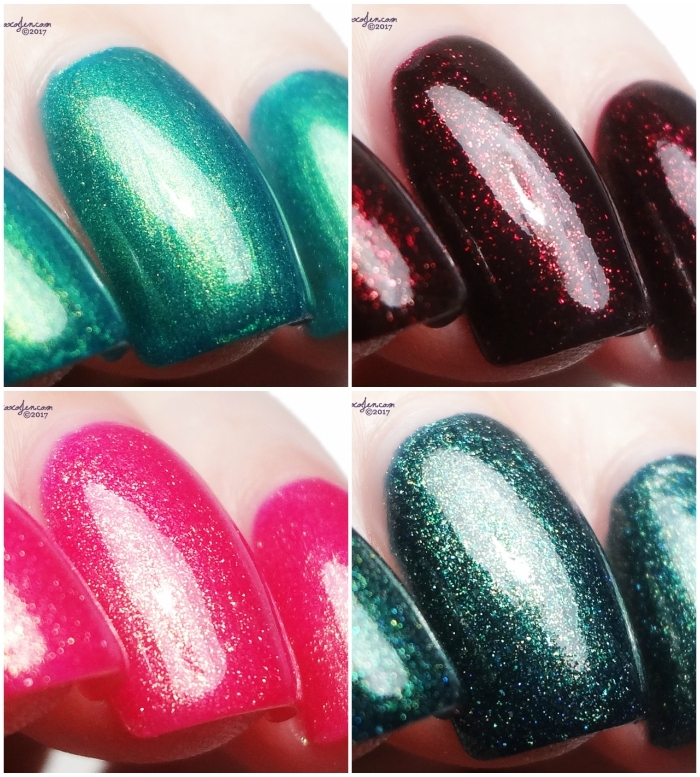 The theme for the next Shimmer Me Box is gold shimmer and its release is on 12/15 at Native War Paints. 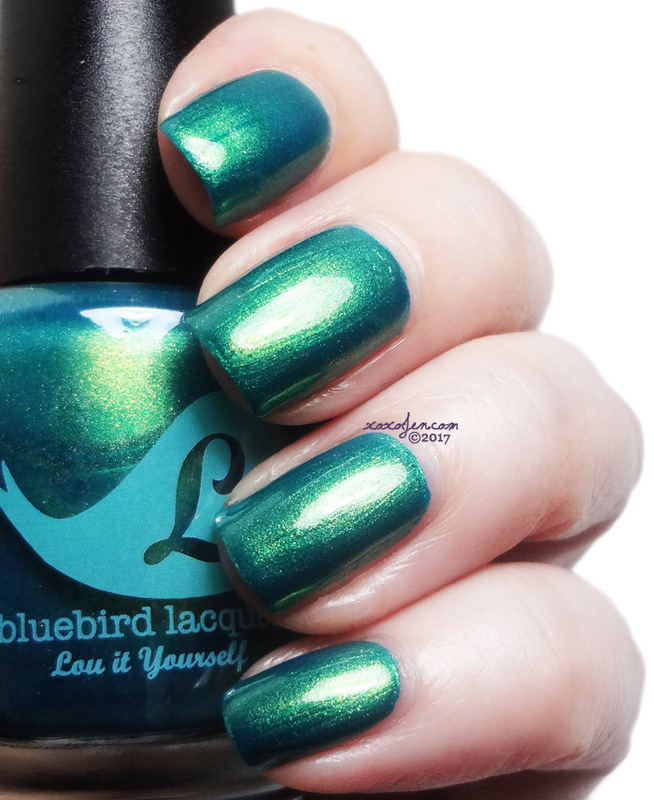 The special guest this month is Bluebird Lacquer, who has a made a bright teal polish with golden shimmer. Formulas for each of these was fluid and easy to apply. 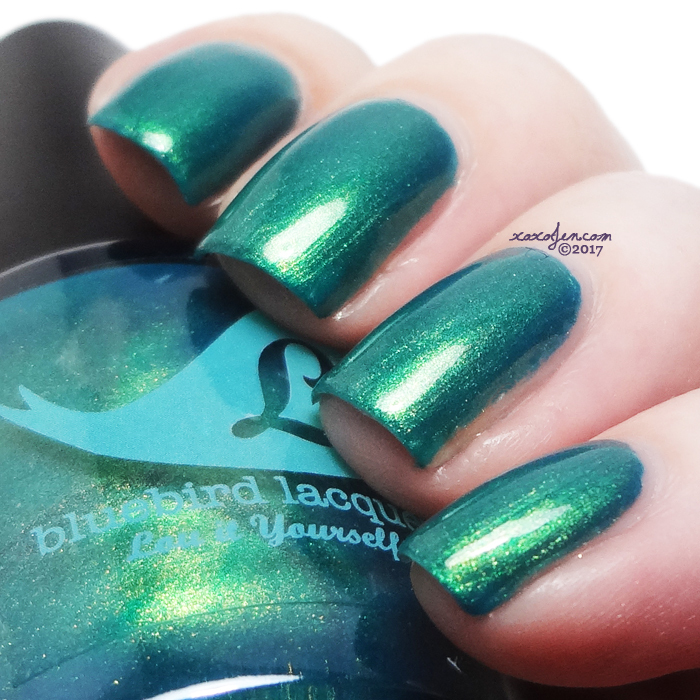 Yule Get Through This is a bright glowing green with a copper/gold shimmer. The polish almost looks like a duochrome with how the gold blends with the base and is glowy where the light hits it. 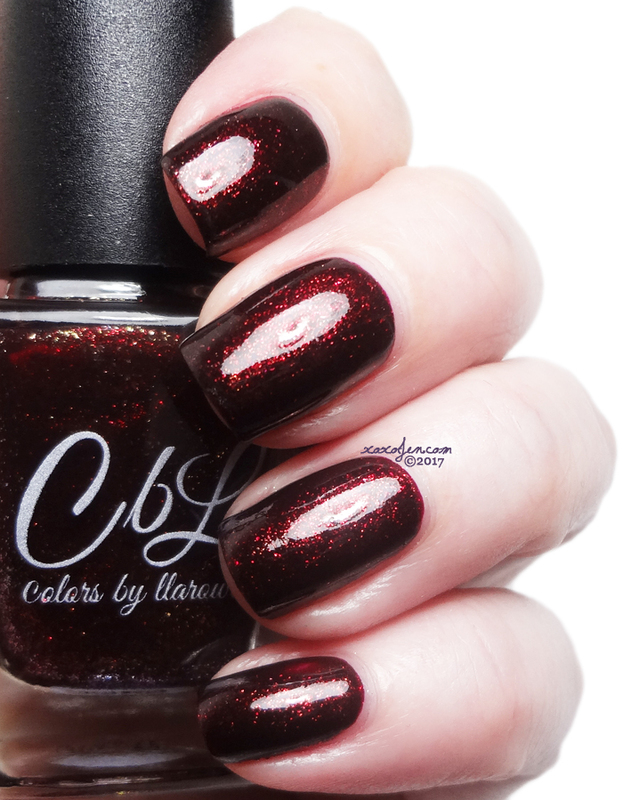 Flame Ascending is deep burgundy red with intense gold shimmer. Opaque in just one coat, but I used two coats to ensure even coverage and depth of color. 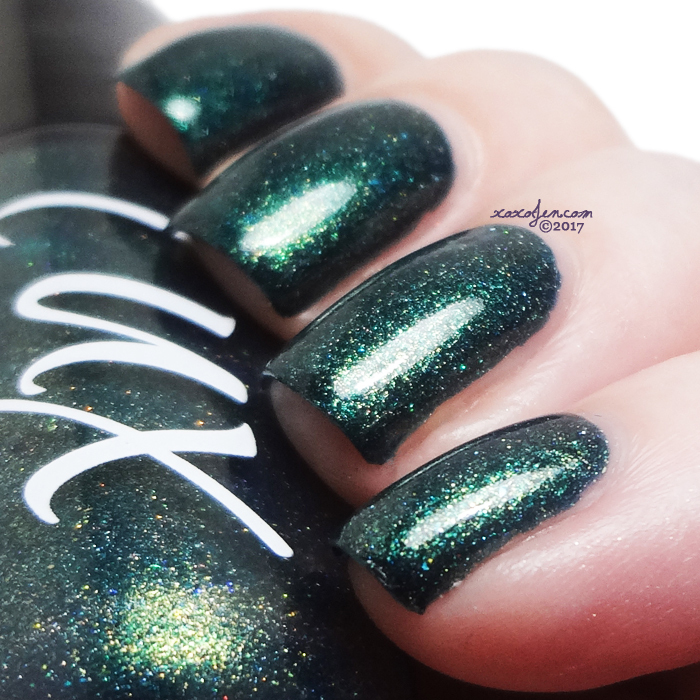 Ever Glow is a dark evergreen with gold shimmer and sparkling holo throughout. Almost opaque in one coat, two shown. 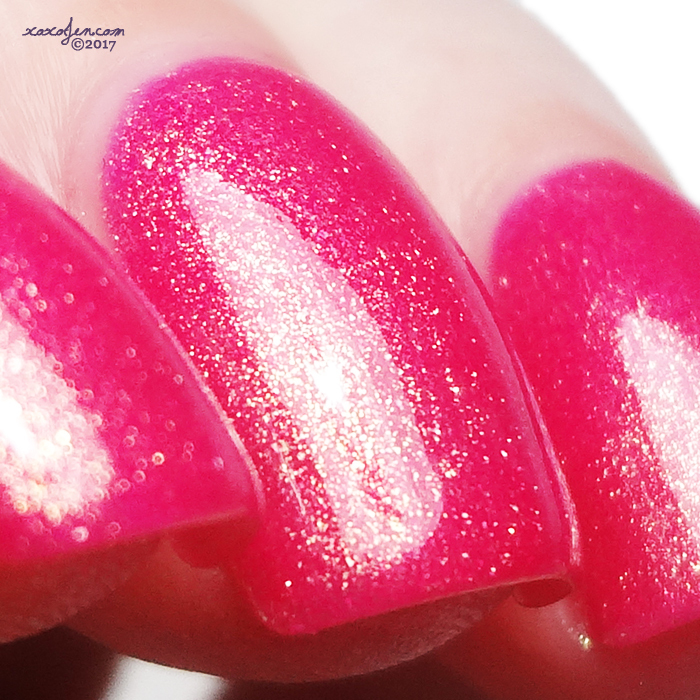 Golden Gummy Bears is a bright pink jelly with gold shimmer. 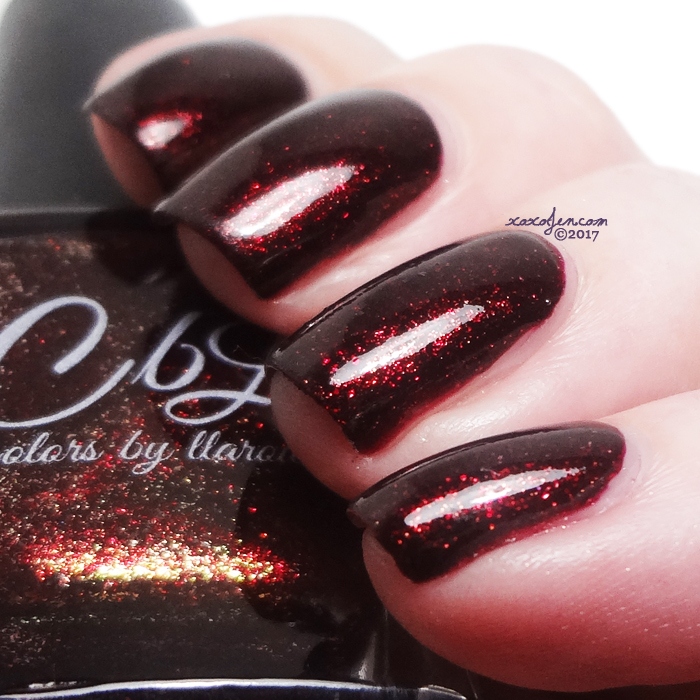 I wore three coats, as this applies a bit sheer but in the end it has a nice depth of shimmer and color. I hope you've enjoyed the review and photos. Will you be picking up the Gold Shimmer Me Box?